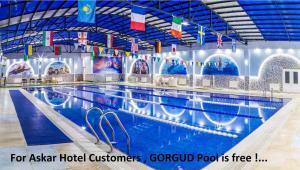 Gorgud Plaza is located in Baku city centre, just 350 metres from the Baku Train Station. It features a spa centre, a gym with a vitamin bar, and a half-Olympic-size indoor swimming pool. Free Wi-Fi is provided. Al lair-conditioned rooms come with a flat-screen TV, a safety deposit box and a minibar. Free toiletries, slippers, bathrobes and a hairdryer are available in a bathroom. 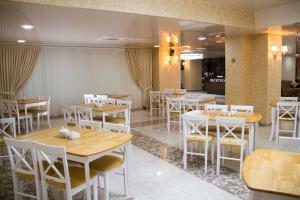 The on-site restaurants offer various European and Azerbaijan dishes. The buffet breakfast is served every morning, and guests can have a drink at the lobby bar. 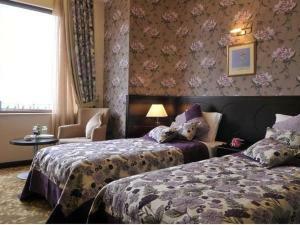 Baku Old Town is 4 km from Gorgud Plaza, and the lively Primorsky Boulevard is 2 km away. The distance to Heydar Aliyev Cultural Center is 1 km away. Just 100 metres from the Maiden Tower, this hotel in central Baku offers a spa with indoor pool, gourmet cuisine, and free Wi-Fi. Icheri Sheher Metro Station is 300 metres away. Air-conditioned rooms and suites with satellite TV, minibar, and tea/coffee facilities are provided by the Giz Galasi Hotel. All include a bathroom with free bathrobe and toiletries. The spa area at the Giz Galasi features a modern sauna and gym. A range of massages can be enjoyed here. 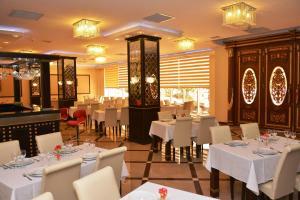 The hotel's stylish Giz Galasi restaurant serves fine international specialities. Continental breakfasts are available in the mornings. The Palace of the Shirvanshahs is less than 200 metres from the Hotel Giz Galasi. The 24-hour reception team can book shuttles to Baku Airport, about 20 km away. 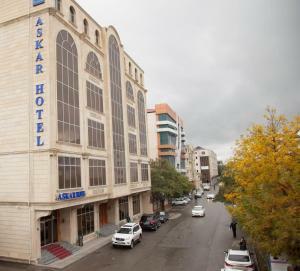 Askar Hotel is located in Baku city centre, just 450 yards from Narimanov Metro Station. It features a sauna and a 24-hour reception. Free Wi-Fi and free parking are provided. All classic-style rooms come with air conditioning, a flat-screen TV and a safety deposit box. Free toiletries and a hairdryer are available in a bathroom. The on-site restaurant serves various Azerbaijani and European dishes. Also guests can have a drink at the bar. The National Boulevard is 15 minutes’ drive from Askar Hotel, and Metro Park Shopping Mall is just 2 minutes’ walk away. The distance to Heydar Aliyev International Airport is 9.9 miles. Continent Hotel Baku in Baku provides accommodation with a bar and a restaurant. With free WiFi, this 4-star hotel offers a 24-hour front desk and room service. Attractions in the area include Flame Towers, 1.7 miles away, or Azerbaijan Carpet Museum, set 2 miles from the property. At the hotel, every room comes with a desk. A buffet breakfast can be enjoyed at the property. Philharmony Park is 2.1 miles from Continent Hotel Baku. 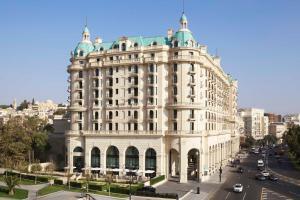 This 4-star hotel in Baku is a 5-minute walk from Fountain Square and the fashion boutiques of Nizami Promenade. Central Park Hotel offers free Wi-Fi and a gourmet rooftop restaurant. 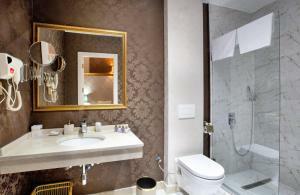 A spa bath and a plasma satellite TV are included in all spacious rooms at the Central Park Hotel Baku. 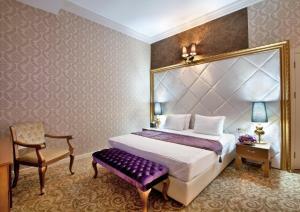 Rooms also feature elegant décor, soft pastel colours and air conditioning. 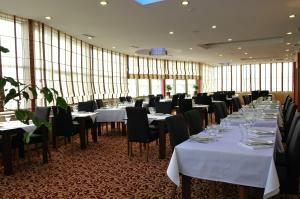 The rooftop Maccaroni restaurant offers great views of the Caspian Sea. Buffet breakfasts, business lunches and à la carte Italian specialities are served here. Guests are welcome to relax in the sauna, gym or order a massage. Snacks and drinks are served in the informal Caffè Mondo, whereas the Sky Bar offers sophisticated cocktails and great views of the Baku skyline. 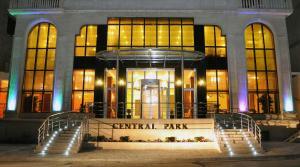 Reception at the Central Park Baku is open 24/7. Baku Central Station is only 500 metres away and a shuttle service can be arranged from Heydar Aliyev Airport, 25 km away. Airport transfers and free WiFi are offered at this 4-star hotel, located 0.6 miles from N. Narimanov and Ganjlik Metro Stations. The hotel offers a 24-hour reception and rooms with a flat-screen TV. Rooms at Ariva Hotel are elegant and brightly decorated in bold colours. Each one comes with satellite TV, a refrigerator, and a private bathroom with bathrobe and hairdryer. Suites include a seating area. A free breakfast buffet is served daily in the hotel’s restaurant. Guests can enjoy regional Azerbaijan Cuisine, along with European dishes in the evenings. Drinks can be enjoyed on the hotel’s terrace. Guests are invited to relax in the hotel’s spa facilities, which include a sauna, steam bath, and massage services. A fitness centre and an indoor swimming pool are also available. 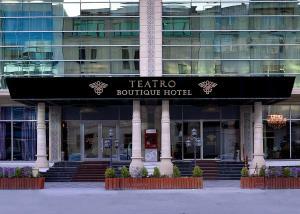 The hotel is located 1.2 miles from Baku Train Station and is 12.4 miles from Haydar Aliyev Airport. Tofiq Bayramov Stadium is 0.6 miles away. 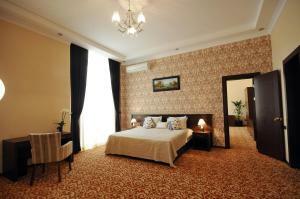 Panorama Villa Lux Hotel is located 50 metres from Shikhovo Beach, a 15-minute drive from Baku city centre. Guests stay in villa with free Wi-Fi and panoramic views of the Caspian Sea. Villas at the Panorama Lux Hotel feature luxury interiors, a fully equipped kitchen and a minimum of 2 bedrooms. All villas include a balcony and a seating area with a flat-screen TV. 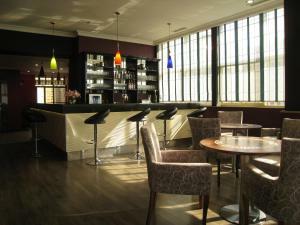 A buffet breakfast is provided each morning in the bright dining room with large windows. Azeri and European cuisine is also served. Guests are welcome to relax in the fitness centre or at the billiard table. Tennis facilities and a children's playground are also available on site. An aquapark can be found nearby. 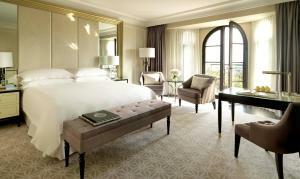 The Panorama Villa Lux Baku offers free parking and a 24-hour reception with a tour desk. A shuttle service is available to Baku International Airport, 45 minutes away. 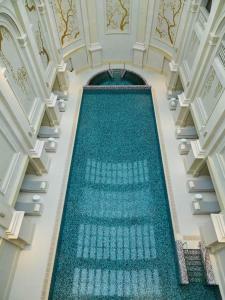 An indoor swimming pool, a sauna and a children's playground are featured at this Baku hotel. 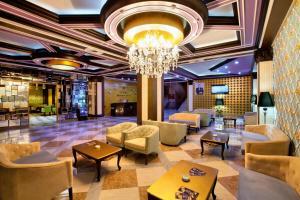 Free Wi-Fi and a 24-hour front desk are featured at Monolit Plaza Hotel. 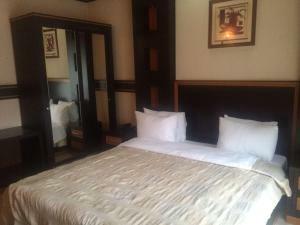 The elegant, air-conditioned rooms offer beige and blue interiors and modern decor. Each room comes with a flat-screen TV, a minibar and a private bathroom. Buffet breakfast is served in the hotel's restaurant. Lunch and dinner include dished of Azerbaijani, Turkish and European cuisine. A selection of local wines is available at the bar. Baku Old City is 5 km from the hotel, and the Caspian Sea coast is 2 km away. After a day of sightseeing guests can relax in the spa centre and have a massage, or work out in the hotel's gym. Baku Central Train Station is 7 km from Monolit Plaza Hotel. Heydar Aliyev International Airport is 30 km away. 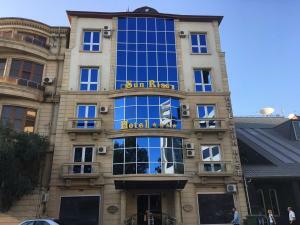 Wonderful views of the Caspian Sea, air-conditioned rooms with balcony, and popular international food are offered by this 4-star hotel in central Baku. Baku Harbour is 800 metres away. The classical-style rooms and suites at the stylish Riviera Hotel feature a flat-screen TV, a safety deposit box, and panoramic views of the sea or city centre. Wi-Fi is free. 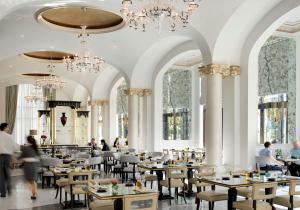 Azerbaijani and European cuisine is served in the Riviera restaurant, featuring elegant wooden décor. The menu includes seafood, steak, and pizza. The café has a terrace overlooking Mikayiluseynov Promenade. Parking is free at the Hotel Riviera. The 24-hour reception can book shuttles to Baku International Airport, just a 15-minute drive away. 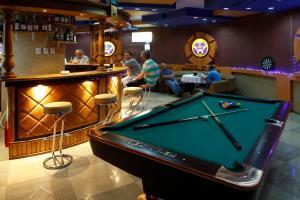 Located in Baku, SunRise Baku Hotel offers 3-star accommodation with a bar and on-site dining. The property is around 1.4 miles from Heydar Aliyev Cultural Center, 1.6 miles from Park of Officers and 2.2 miles from Azerbaijan Opera and Ballet Theatre. The property is 2.4 miles from Formula 1 Grand Prix Baku and 2.5 miles from Fountain Square. All rooms in the hotel are equipped with a flat-screen TV. 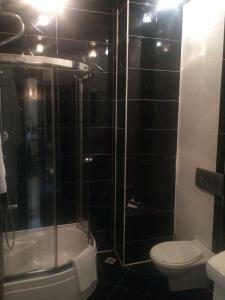 Rooms are complete with a private bathroom fitted with a shower, while selected rooms also boast a balcony. 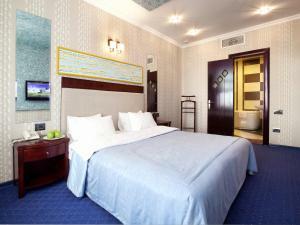 Guest rooms at SunRise Baku Hotel have air conditioning and a desk. A continental breakfast is served daily at the property. When guests need guidance on where to visit, the reception will be happy to provide advice. Taza Pir Mosque is 2.6 miles from the accommodation. Located in Baku city, this hotel built in 2013 comes with a 24-hour reception, fitness centre, sauna and free Wi-Fi. Narimanov Park is a 5-minute walk from the hotel. Decorated in modern style, rooms and suites at Teatro Boutique Hotel feature an LED TV with satellite channels and a minibar. Private bathrooms are fitted with bathrobes and slippers. Guests can enjoy European and Azerbaijani cuisine in Savalan Restaurant, or relax in the on-site Jardin café and enjoy hookah. Narimanov Metro Station is a 5-minute walk from Teatro Boutique. Baku Train Station is 4.5 km from the hotel and Baku Airport is a 15 minutes' drive away. Overlooking the Caspian Sea and Baku Old Town district with the Shirvanshahs’ Palace, this 5-star hotel features a restaurant and lounge, a bar and an indoor swimming pool. Rooms come with air conditioning. Each bright spacious room at Four Seasons Hotel Baku includes unique interior, a flat-screen TV and a view of the city or sea. 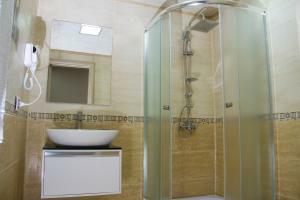 Bathrooms are fitted with marble panels and a shower. Italian dishes are served in Zafferano Restaurant. Relaxing drinks can be enjoyed in Piazza lounge or at Bentley’s Whiskey Bar. A range of beauty treatments is provided in Four Seasons top-floor Jaleh spa centre, including a hammam, sauna and massages. Guests can also take a dip into the swimming pool or work out in the fitness centre. Park Bulvar Shopping Centre is 2 minutes’ drive from Four Seasons Hotel Baku, Port Baku Shooping Centre is a 6-minute drive away and Azerbaijan Art Museum is 5 minutes’ walk away. Heydar Alyev Airport is 18.6 miles from the hotel, and a shuttle service is provided on request. Paradise Baku Hotel is located in Baku, 1 miles from Heydar Aliyev Cultural Center. This 3-star hotel features free WiFi and a shared lounge. The accommodation features airport transfers, while a car rental service is also available. At the hotel, the rooms include a desk, a flat-screen TV and a private bathroom. The rooms feature a wardrobe. A buffet breakfast is served each morning at the property. 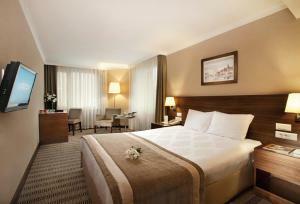 Paradise Baku Hotel provides an ironing service, as well as business facilities like fax and photocopying. 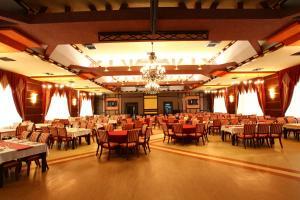 Speaking Azerbaijani, English, Russian and Turkish at the reception, staff are willing to help at any time of the day. Park of Officers is 2.2 miles from the accommodation. Maestro Hotel features a shared lounge, bar and restaurant in Baku. 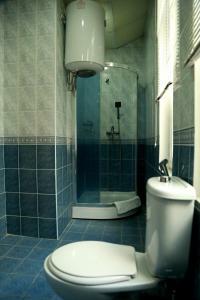 This property is located a short distance from attractions such as Taza Pir Mosque and Ismailiyya Palace. The property is 650 yards from Shirvanshakhs' Palace. All units is equipped with air conditioning, a flat-screen TV with satellite channels, a fridge, a kettle, a bidet, free toiletries and a desk. At the hotel, every room is fitted with a seating area. A buffet breakfast is available daily at the property. Speaking Azerbaijani and German, staff will be happy to provide guests with practical guidance on the area at the 24-hour front desk. Philharmony Park is a 9-minute walk from Maestro Hotel.